Zombies, guns, mayham and chaos -- what more could you want? Dead On Arrival is the latest game released for the Xperia Play as an exclusive for a limited time and it's pretty awesome. 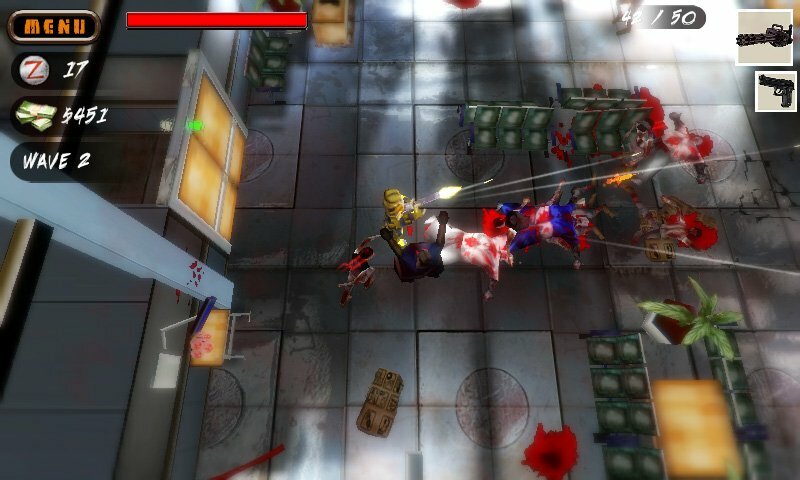 Featuring top down 3D gameplay, Dead On Arrival uses comic-style cut scenes tell the story of a endless horde of zombies after you but you get an a massive catalog of weapons to blast them to bits and have fun while doing so. Right now, Dead On Arrival is available for free in the Android Market for all Xperia Play owners, jump past the break for the trailer and full press release. Exclusive to Xperia™ PLAY for a month, Dead On Arrival features top-down 3D gameplay and a full arsenal of weapons to fight back against the undead horde. Stunning graphics allow players to experience the battle for survival in full gory detail, whilst comic-style cut scenes tell the story behind the mayhem. N3V Games Studio Head - Paul Olsen explains the link between them and the undead. "Well we have that much going on at N3V that some days we feel like zombies ourselves so we thought it was time to fight back! Seriously though, it all started about a year ago when Call of Duty: Nazi Zombies started to eat our brains. The gameplay is very addictive with the replyability, and we wanted to create something along the same lines as this for the mobile platform. The third person top down view with thumbstick controls fit very well into DOA and after spending countless hours playing games like Minigore, Gorilla Bob, iDracula and Alive 4-Ever (and Nazi Zombies still) we put our final design into development (along with using the Unity Engine - made life that much easier!) to create Dead on Arrival. Check out the full details here, but we hope all the Xperia™ PLAY users and eventually the rest of the world get hours of enjoyment on what we hope lives up to the undead fans of many!" Two days ago a bomb went off in central park. Fatalities were few but hundreds more were injured in the blast. They got them to the hospital some how... but it wasn't long before all of the injured had suddenly died as well. The doctors said it was some kind of ‘mass cardiac arrest.' If that was true they wouldn't have boarded up the windows and barricaded the doors. No one's heard anything from inside for 12 hours now, and what we heard then wasn't good..."
You've gotten into the hospital, but all the other rooms are locked. Your only chance for survival is to kill for cash, letting you unlock additional rooms or purchase more powerful weapons in your endless fight against the undead. Board up the doors, run fast, shoot to kill and maybe you might see tomorrow after all! Search for the "random box" and destroy your enemies with the most powerful guns!